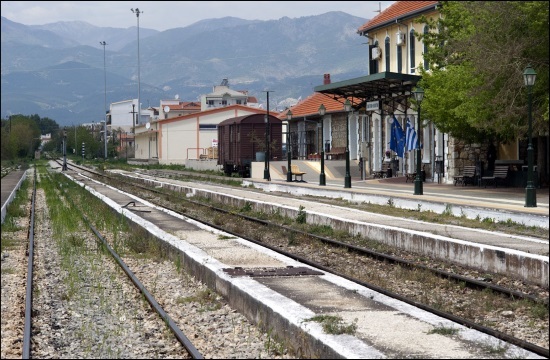 One of Greece's major infrastructure projects to be implemented in the future, is the new single-track railway line Thessaloniki-Kavala-Ksanthi. This line is planned to run along the coast, almost side by side with Egnatia Motorway, aiming to reduce considerably the current time distance between the 3 urban centers of Macedonia, according to ypodomes.com. It is long known that this project is part of the so-called "Sea2Sea", that envisages the connection of the Greek ports of Thessaloniki, Kavala and Alexandroupolis with those of Burgas, Varna and Rousse in Bulgaria, thus considered to be an integral part of "Railway Egnatia's" eastern section. The first one begins from Thessaloniki reaching up to Nea Karvali. It will have a length of 180 km. Its initial cost is estimated at 1bn euros as for its construction, major projects with increased technical difficulty, will be required. Relevant studies are carried out by OSE. The second section is between Nea Karvali and Toksotes Xanthis, where it will meet the existing line to Alexandroupoli. It will be 35 km long and will include one station at the new port of Kavala, in Nea Karvali area. The cost here is estimated at 250m euros. In its entirety, the new line will be electrified with modern signaling and ETCS systems, enabling speeds up to 200 km/h. What is noteworthy is that it will reduce the distance between Athens and Thessaloniki by 130 km, allowing the railway route to be covered in less than 2 hours, while it will also reduce time distance to Alexandroupoli, to about 3 hours. For Nea Karvali-Toksotes (Ksanthi) section, Phase C studies (i.e. the final studies) have already begun since August 2018. The ultimate goal is for funding sources to be found for the realization of a project that will modernize the eastern section of the country's raiway network, bringing Istanbul significantly closer too. Only in the Greek section, the time distance reduction is estimated at 3 hours if Toksxotes-Alexandroupolis-Border is fully electrified and upgraded with new signaling systems.